Senate Democrats will release a torture ,report to keep Gruber's testimony from being the lead story. 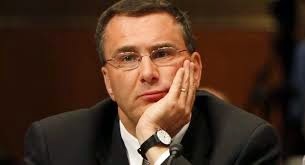 MIT professor and Obamacare architect Jonathan Gruber will testify on Capitol Hill Tuesday about his role in selling the 2010 healthcare law to “stupid American voters” through deception and non-transparency. The hearing will be held by the House Oversight Committee and Gruber will have to field questions from Chairman Darrell Issa and angry lawmakers about the legislation. Gruber became infamous just a few weeks ago after a Philadelphia financial consultant and citizen blogger started pulling and publishing multiple video clips of him at various events discussing Obamacare. During those events, Gruber admitted the redistribution of wealth in the legislation was purposely covered up along with the fact that Obamacare is indeed a tax.